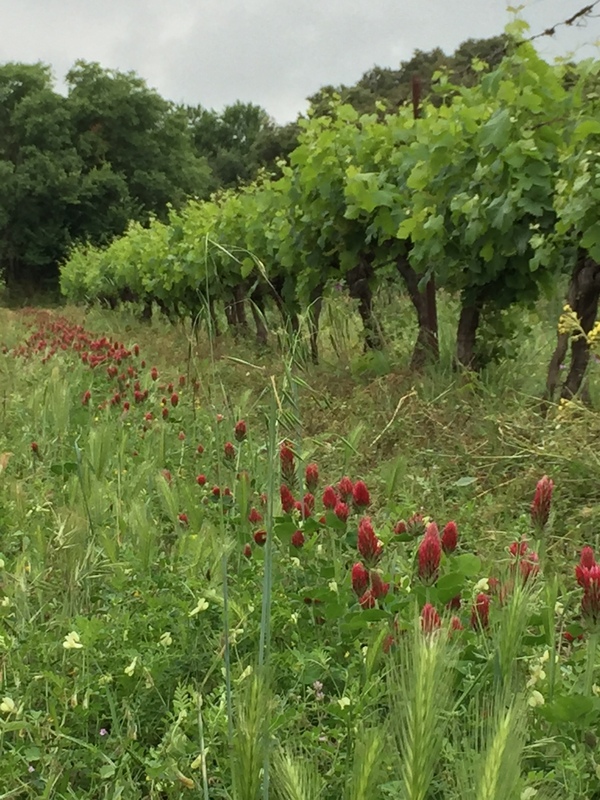 We practice the natural weeding but also the controlled grassing with CHAPELLE of NOVILIS. 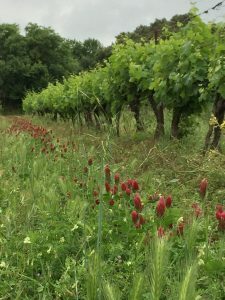 Weed to maintain biodiversity, air the soil, capture CO2 in the air, and meet the needs of the vineyard. 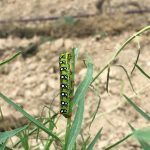 We planted half of our vines on which we planted crimson clover in October 2017. The crimson clover (crimson = red) is a legume, as the small yellow alfalfa. The latter was sown spontaneously on our parcel of Carignan (to read in previous article). Legumes are very interesting for their nitrogen intake. Nitrogen is an essential element for the growth of any plant, including vines. and it is also indispensable for the fermentation of juices. 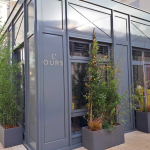 Yeasts consuming nitrogen, it is necessary that it is present in sufficient quantities in the juice to properly conduct and to the end the fermentation of sugar alcohol. For a seedling to grow, it requires two well-filled conditions: the quality of the soil preparation and the rain. The soil was carefully prepared just after the harvest and the sowing was done in October 2017. 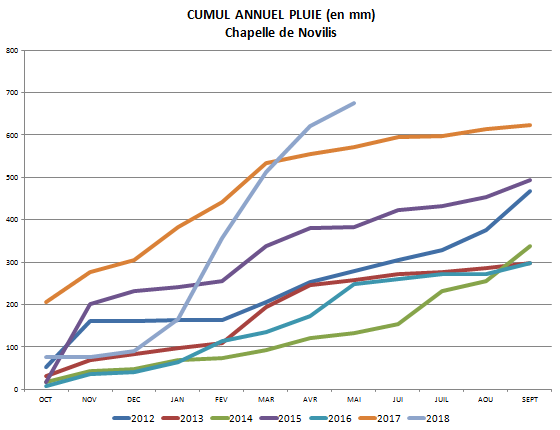 Unfortunately, concerning the rain, the curves presented here show that it was almost absent from October to December; in the wake of this year 2017 extremely dry since the month of May. In January 2018, nothing had grown yet. 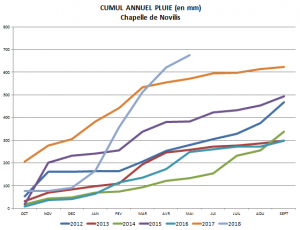 Fortunately, after the drought that lasted until the end of 2017, since January 2018 it does not happen a week without we have water (blue sky curve). The crimson clover crop was late, but it is there. In a week, we will cut it. It will then release nitrogen stored in its roots, which will benefit the vine, while the cut air will bring organic matter.